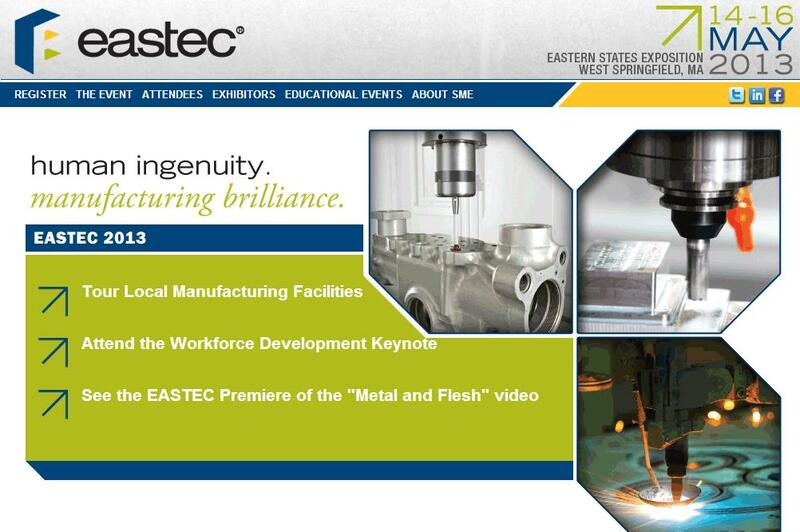 Yesterday, I got a chance to get out the office and partake in EASTEC. The Society of Manufacturing Engineers (SME) organizes EASTEC, one of the largest manufacturingshows on the East Coast highlighting the latest technologies and management strategies for operational excellence. The theme this year was “Human Ingenuity” meaning to envision a new product, it takes human ingenuity. This was a great opportunity to see some old friends and listen to a couple of Lean presentations. I thought I would share some of my thoughts and learning from this event with all of you. First up was Bruce Hamilton, from Old Lean Dude Blog and GBMP, to Lean Manufacturing Plateaus. Since the mid-1990's many US manufacturers have benefited from implementation of Lean manufacturing methods. Most of these implementations, however, have plateaued far below their potentials, producing only modest and sometimes transient gains, and failing to capture the passion and engagement of true Lean transformations. Bruce says companies naturally plateau because they get too happy too soon. The earliest plateau occurs after some initial stability from attacking low hanging fruit. In actuality if you are focused on developing people it is all low hanging fruit. These plateaus along the journey to true north can be counteracted by not only teaching the know-how but teaching the know-why. Next on the agenda was Ron Pujalte, a Lean Consultant from GBMP, who discussed How to Leverage the Power of the Lean Triangle. For those who are not familiar with the Lean Triangle it is made up of Philosophy, Technical, and Management factors at the center of Human Development. Strategy must come before Philosophy. Management must lead with commitment from everyone. On the technical side, tools are the means, not the ends. The 3 sides of the Lean triangle make a unique contribution to the overall triangle. The component parts work together to encourage a strong culture that centers on customers, leverages employee knowledge and creativity and continues to drive organizational experimentation and learning year over year. Systems run the business but it is people who the system. Management must provide the means of connecting the dots. True North is always on the horizon. Getting there is the challenge. Finally good friend Tony Manos, from 5S Supply and sponsor here, gave a presentation titled A3 Problem Solving Deep Dive. Many organizations are using the A3 methodology to help solve problems and create better target conditions. The A3 is a way of simplifying and filtering information to an 11x17 sheet. The form itself is not a solution; it is the thinking and process that brings results. It is a working document that is best done with a pencil and eraser than digital formats. The basic structure of the A3 follows the PDCA methodology which encourages Kaizen (small experimentation continuously checking your hypothesis) that leads developing people. The A3 is really about your personal learning and growth. It provides great coaching moments along the process. To be effective people need to know some basic problem solving tools before using an A3. A3’s are effective and efficient closed looped system of problem solving. EASTEC proved to be another success for me. I was able to see many of manufacturing’s greatest innovations on display first hand. There was an opportunity to network with many leaders, practitioners, developers, manufacturers, and consultants in my area. And of course I had the opportunity to learn from a number of great Lean Leaders. Hopefully, you can take advantage of similar activities in your area and share the learning as I have.